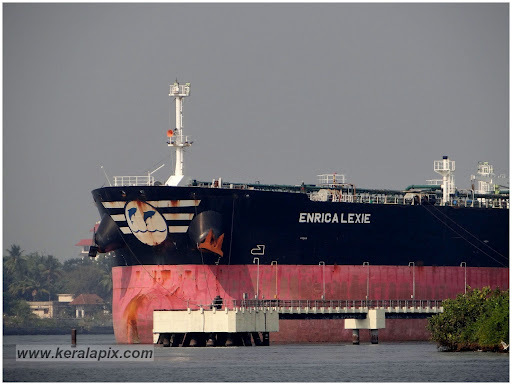 The ship detained at Kochi (Cochin). An interesting legal war is going on between a tiny state of India, Kerala, and the mighty European country, Italy; and whether it will escalate into a full blown diplomatic stand-off between India and Italy is a matter for speculation. 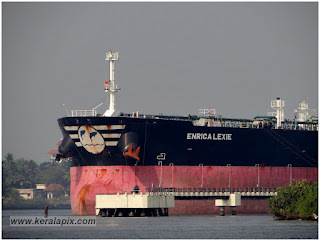 But since February 15, when two Indian fishermen were shot dead by the marines of the Italian ship, Enrica Lexie, off the coast of Kerala, we can see this issue getting more and more controversial by the day. Immediately, when the news of killings was relayed by fishing boats to the Indian coast guard, they and other Indian authorities had swung into action, and forced the Italian ship to move into Kerala’s Cochin sea port where it has been detained since. Two Italian marines were arrested and are still held, pending decision by the courts. But which court will try them? Kerala court? Indian court? Or an International Court? That is a small part of the controversy. But the Indian authorities say that the Italian Navy personnel had no reason to mistake the fishermen as pirates as the boat can be seen carrying only their fishing nets and the fish; not any firearms or any other weapons. Now, with the Kerala High court telling the Italian Ship’s owner to deposit 3 Crore Rupees (about 613,000 US dollars), as possible compensation for the victims’ families) if it wants the vessel to be released, it is hoped that the families of the fishermen are somewhat appeased. Though the foreign ministers of the two countries, SM Krishna of India and Giulio Terzi di Sant’Agata of Italy, had met in India this week and discussed this, among others, they were unable to resolve the issue of the trial of the arrested marines. Addressing a joint press conference after their meeting, the two ministers had re-stated the positions of their respective countries. Italy is insisting that the incident should be tried according to international laws since it took place in international waters. India, however, maintains that since the incident involved an Indian vessel and those killed were Indian nationals, the two Italians would be tried under Indian laws. To complicate matters, Cardinal George Alencherry – India’s newest Roman Catholic cardinal – who was in Rome for his investiture by the Pope said some words that have upset the fishermen community. In an interview to Agenzia Fides he said that “In the episode (fishermen’s killings), of course, there were errors, since the fishermen were mistaken for pirates. But the point is another: it seems that the opposition party wants to take advantage of the situation and exploit the case for electoral reasons, speaking of ‘Western powers’ or the ‘will of American dominance’.” And it also quoted him assuring the Italians that he will speak to Indian ministers to help resolve the issue peacefully. So, why is the cardinal from Kerala, talking for Italy? Is he an Italian or Is he an Indian? That became a controversy. And the fishermen are now miffed. Particularly, because the fishermen killed were said to be catholic. Well, what is the next course of action for the families of the victims, and for the marines who are now in custody? We do not know. I am actually glad at the tough Indian stand, considering the way India has always been known to pander to western nations' whims and fancies, even when it is not in our favour. There does not seem to be any quick, clear solution, in the immediate future. But one good way forward would be for the Italian shipping company to give an out-of-the-court compensation to the bereaved families, and apologize for the killings.